I’ve had a real treat today, a trip to the spa at the Last Drop Village with my mum! I’m extremely relaxed now! On the way back to the car I spotted a man walking two very lovely dogs so I went to meet them. By the time I’d reached them Bertie the Border Collie had already ran off so I decided to make Amber a beautiful Golden Labrador/ Retriever cross my dog of the day. 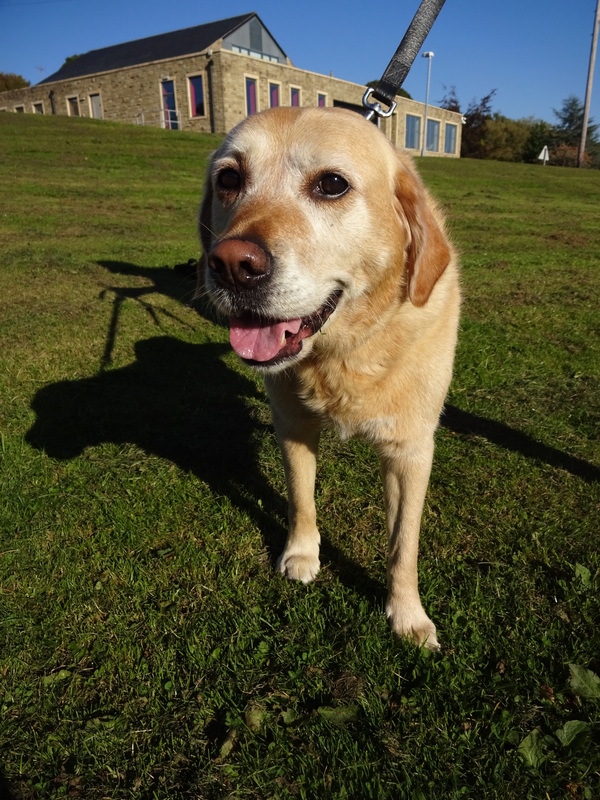 Amber is a lovely girl, she very friendly and was also very relaxed! When Amber was a puppy she was in the Guide Dog training programme but unfortunately she didn’t make it because she didn’t stop ‘spending’ on the lead! Amber gets on well with her dog housemate Bertie although they are quite different temperament; Bertie doesn’t stop! Favourite toy: Amber loves soft toys which she likes to carry around in her mouth.